Marketing and digital communication: what are they? Marketing wins when it manages to generate value for the customer. Easy to say, difficult to put into practice. What is the value for the customer if not the “benefits received less the sustained sacrifices”? This aspect becomes fundamental when it comes to digital marketing and communication, as the number of customers online is increasing. Using this channel allows customers to reach maximum benefits with fewer sacrifices. 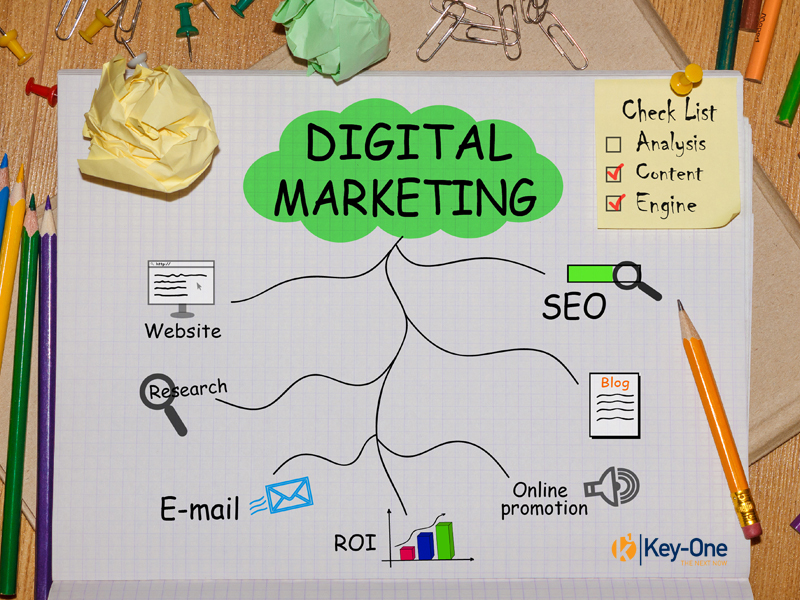 Digital marketing uses all of the channels on the web to develop an integrated strategy that will enable you to acquire new customers and retire existing ones to create a network with connections. All this must be done in a targeted manner so that you can reach your target and be able to measure the results achieved. Often marketing and communication in the collective imagination tend to overlap, incorrectly, however, as the concept of communication is included in the marketing concept. For our marketing strategy, we can choose whether to act on one or more of these levers, not necessarily on all of them at the same time. But it is crucial that our goals are always measurable. Some significant metrics to consider are: traffic; Active users and new users; Conversions towards the goals set; how many of these conversions become new customers. A key tool from this point of view is Google Anlytics. Having a specific audience to which we address to, allows us to reach our goals by not wasting resources and turning our audience into potential new customers. Defining the target is crucial to achieving a winning strategy. In digital marketing, we use geographic, demographic and behavioral parameters, but not only. Personas are often defined, that is, our kind customer, with well-defined features. The time has come to talk about strategic marketing. The latter is based on the analysis of the needs of individuals: Once the reference market has been identified, the products and segments that may already exist or are to be defined are defined. Strategic marketing takes care of the study of the latter, grasping their potential and dynamism. In digital marketing, the tools available to implement marketing strategies can be SEM, SEO, social media campaigns, DEMs, digital PR, and collaborations with network influencers, without forgetting the importance of content. Addressing to industry experts is critical if you want to apply all these points to your business strategy. We will learn more about these aspects later; in the meantime, we invite you to visit our site to find out how these aspects represent our daily bread. Who are the most beautiful influencers? Who are the most famous advertisers?